Inspired by the famous black and gold amplifiers from England, the IMPERIAL overdrive pedal delivers the classic plexi tones that have defined rock and roll music for decades. 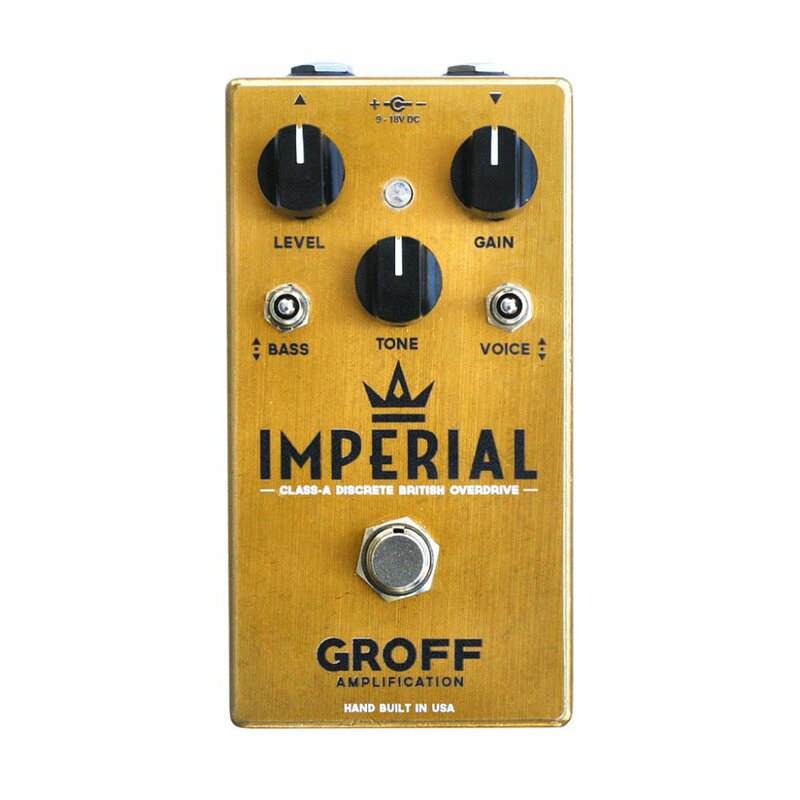 The IMPERIAL is a moderate-gain overdrive pedal capable of going from a clean boost to full saturation, and everything in between. A simple but very flexible EQ section lets you dial in authentic bluesbreaker and plexi sounds on any amp. A three-position “bass” switch lets you boost the lows for a fatter sound through a smaller amp, or back them off to tighten things up through a 4×12 cab. The “voice” switch enables you to add or remove a little upper-mid presence so you can cut through the mix with soaring leads or blend in with the rhythm. Each pedal is hand soldered and assembled using the best through-hole components we can source, and we hand-match each JFET transistor to ensure it’s properly biased. Then we top it off with a rugged aluminum enclosure, Neutrik jacks, Alpha pots, and an industrial-grade latching true-bypass footswitch.